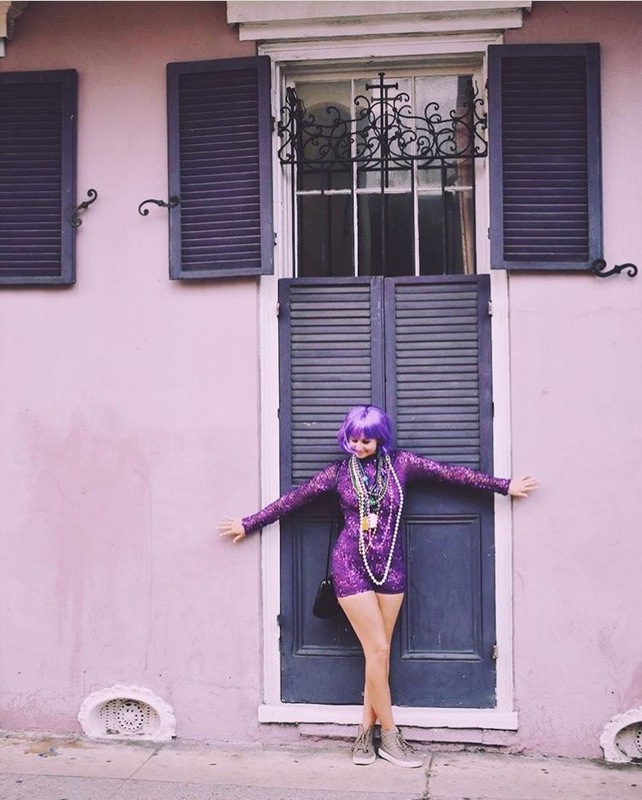 We love Mardi Gras and think it is the perfect adventure for any solo traveler. This Carnival season we will be sharing our tips and tricks to make your trip to Mardi Gras as enjoyable as possible. Here is the official Astrid Solo Travel Advisor's official Mardi Gras packing list. Weather in New Orleans is unpredictable. During this time of year, the high can be 35 degrees one day and 74 degrees the next. Some years is it freezing and raining, and other year it’s sunny and 75. It’s best to pack for all sorts of weather. We recommend bringing it all - short sleeves to heavy coats and mittens. You just never know in New Orleans. It rains a lot here. Be sure to bring a rain jacket and rain boots to stay dry. We recommend rain gear over umbrellas. It is very crowded during Mardi Gras and holding an umbrella on the parade route won’t make you any friends. You’ll be catching a lot of throws - beads, cups, etc. Bringing a sturdy, reliable bag will allow you to transport all your loot. around all day in. Also, New Orleans is dirty. Pack shoes that you would not mind parting with. Leave the designer shoes at home. If you plan on staking out a spot on the parade route, it is best to bring a foldable chair. We also recommend bringing a cooler for food and drinks. Whether it’s an elaborate costume or just a wig, be sure to bring your most festive gear! A lot of people will be dressed up in their wildest costumes, so don’t be shy. There’s no telling what costumes you might see! If you're planning a solo trip to New Orleans this Mardi Gras, be sure to follow Astrid Travel on Facebook, Twitter, and Instagram. Use #soloNOLA! Have any questions? Contact us!